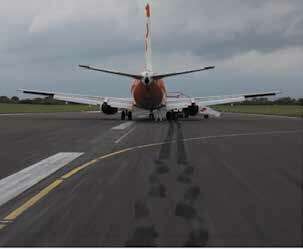 On 4 Oct 2016 at 04:55z, an ASL Airlines (in TNT Express livery), 737-400F, OE-IAG, 25168/2210, suffered a partial right hand main landing-gear failure, following a normal approach and landing on Runway 25 at Belfast Aldergrove (EGAA) in benign weather conditions. 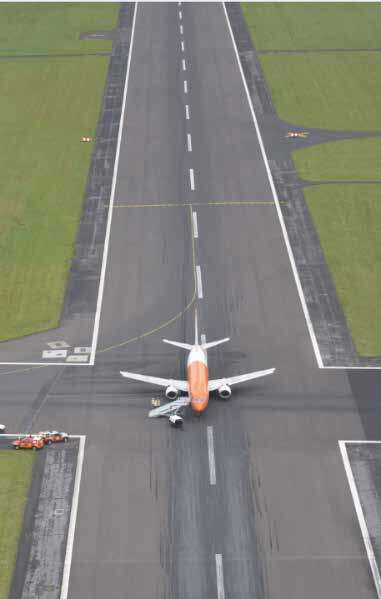 On landing, an intense vibration developed, the crew cancelled the automatic brakes and thrust reversers, as there was sufficient runway, and the aircraft came to a stop. The lower torsion link was found to have fractured on the right main landing gear (MLG) possibly due to excessive MLG vibration (shimmy). The cause of the vibration could not be established but may have been related to the speed of the aircraft on landing, and possibly a problem with the shimmy damper or freeplay within the joints associated with the upper and lower torsion links. 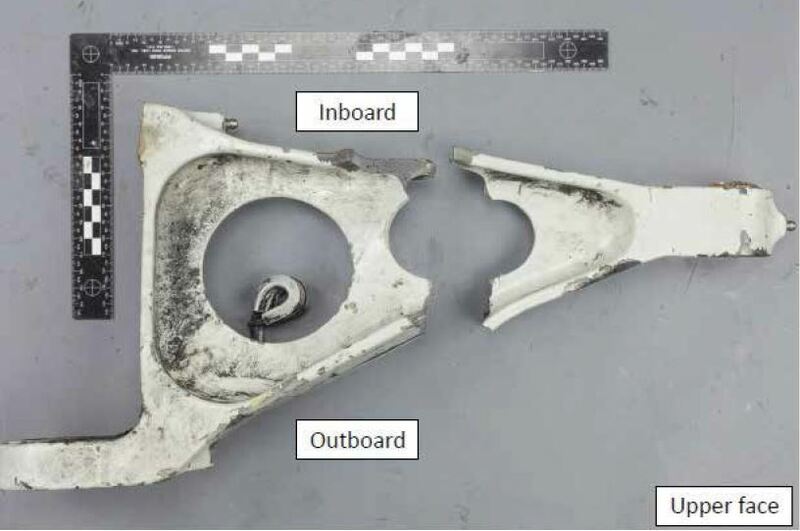 The AAIB concluded that: The physical and recorded evidence indicate that the fracture to the lower torsion link on the right MLG leg was most likely caused by shimmy. 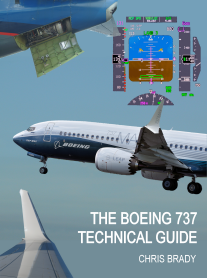 This and previous occurrences show that the Boeing 737 MLG is susceptible to shimmy, particularly at higher landing speeds and for softer landings. There was no evidence of a pre-existing defect in the failed torsion link or the apex joint which would have caused the shimmy. It was not possible to assess the condition of the shimmy damper or determine if there was any freeplay in the joints associated with the torsion links. Accordingly it is possible that there was a failure of the damper or excessive freeplay in the joints, which combined with the high-speed landing may have induced shimmy. Whilst there was no evidence to suggest that maintenance was a causal or contributory factor, the manufacturer is currently working with the operator to assess the maintenance requirements to ensure they are appropriate for its operations.